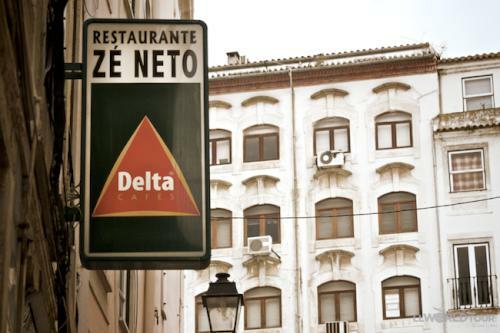 Located on the banks of the River Mondego, Ze Neto Restaurant is a favourite haunt for diners in downtown Coimbra, Portugal. 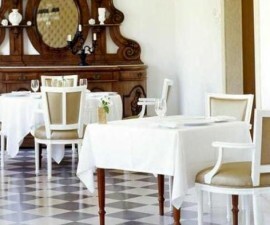 This lovely family-run restaurant serves homemade traditional cuisine from this region of Portugal in a small and friendly dining room, simply furnished and decorated with a range of framed reviews and gastronomic awards, in testimony of the quality of the food served here. Three generations of the same family run the restaurant between them. Indeed, if you visit before lunch service, you will often see one of the elderly owners, who has been involved in this Coimbra restaurant for some sixty years, typing up the daily menu on an ancient typewriter! 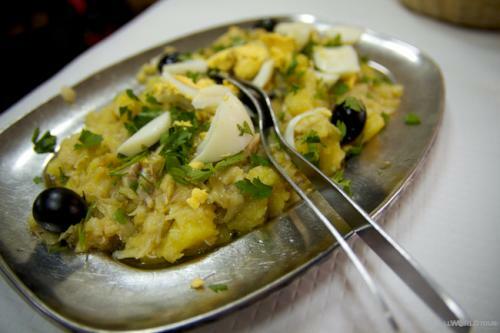 If you speak Portuguese or have at least some understanding of it, it is well worth requesting the Portuguese menu rather than the English one, as the latter lists only the fixed dishes and not the daily specials due to limitations of translation. The menu is simple, but the food is beautifully cooked. Soups, cheeses and salads are popular starters and the freshly baked bread makes a lovely accompaniment. 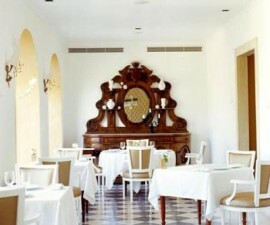 For main courses try the grilled sea bass or sea bream, goat, roast salt cod or grilled sardines. All mains are served with potatoes and salad or vegetables. The wine list is small but well chosen, and offers a tasty Vinho Verde (young wine) with plenty of change from 10 euros, a Duas Quintas, from Douro, and various other varieties and bottles from Portugal’s major wine-producing regions. The list doesn’t cater to the high end, but then nor do the prices or ambience. The wines featured make the perfect accompaniment to the simple, well-cooked, reasonably-priced dishes that Zé Neto Restaurant specialises in delivering to its customers. As a family restaurant, you are as likely to find the three generations that run it arguing loudly between themselves as you are to be welcomed by them with open arms as you step over the threshold. 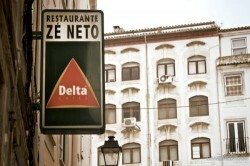 And therein lies the charm of the Zé Neto Restaurant. It’s a little bit chaotic, slightly quirky, very friendly and uncompromisingly down to earth. 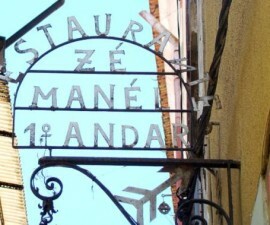 This is a gem of a restaurant nestled right in the heart of the historic city of Coimbra, and is well worth the visit.